In January, photographer Deanne Fitzmaurice was on assignment for Sports Illustrated when she went to a San Francisco gay bar, HiTops, during the 49ers-Falcons NFC Championship game. She was assigned to get a photo that would accompany a story about the diversity of 49ers fans. 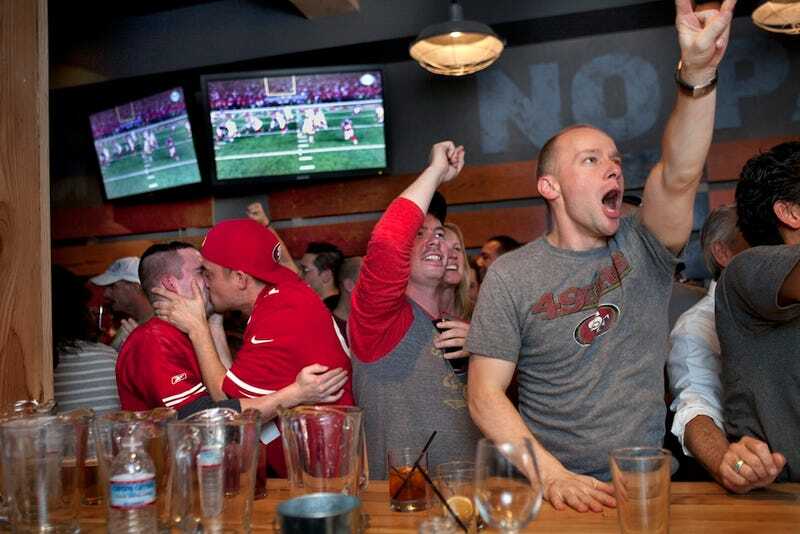 Her photo, above, was a dream shot: Two guys making out, just as the 49ers took a fourth-quarter lead. Fitzmaurice, who won the 2005 Pulitzer Prize for feature photography, annotated the photo for us. Click on the numbers below the photograph to read the back story.